Once I caught wind that MooScents would be doing some spring time restocking, I made sure to follow their Facebook page pretty close. Once that first announcement hit my feed I was over there adding Bohemian Velvet to my cart in no time at all. Among a few others. All clamshells at $5.49 each. 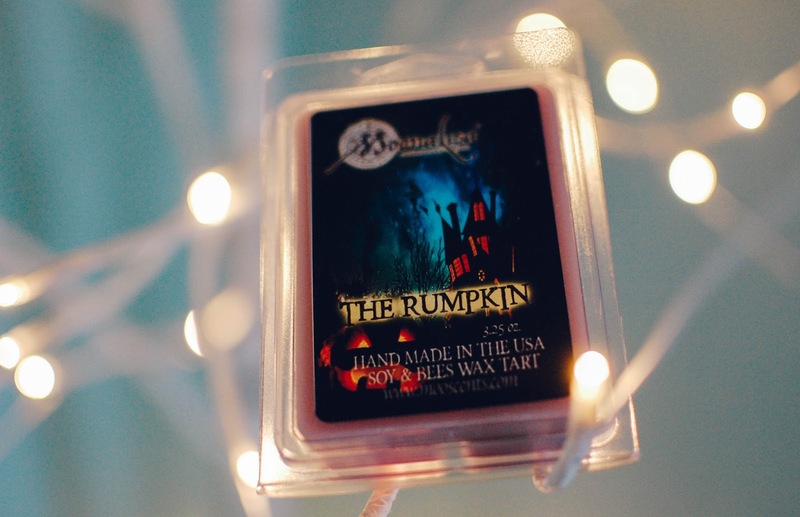 The Rumpkin- Delicious pumpkin goodies with lavender essential oil. After trying and melting Pumpkin Batter I knew I would probably love this blend of lavender and pumpkin, so I picked up two clams of this one. And it was the right thing to do. Rumpkin is a fast favorite. The spicy fall goodness of pumpkin treats mixed with herbal sweet lavender is pure bliss. The spiced pumpkin features in the forefront. I may have to melt a couple cubes sooner rather than later. 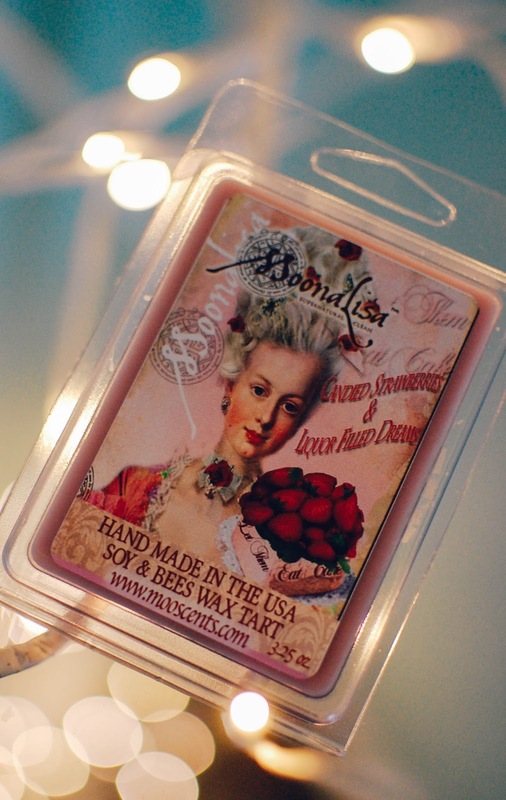 Candied Strawberries and Liqueur Filled Dreams- Notes: Sweet juicy strawberries dipped in raw sugar then doused in hazelnut and vanilla liquor. I do get a creamy sweet strawberry with a touch of that candy Strawberry Shortcake doll nostalgia with a little but of jam smeared about. The hazelnut liquor offers just a dash of coffee like nuttiness. Predominately a strawberry scent. 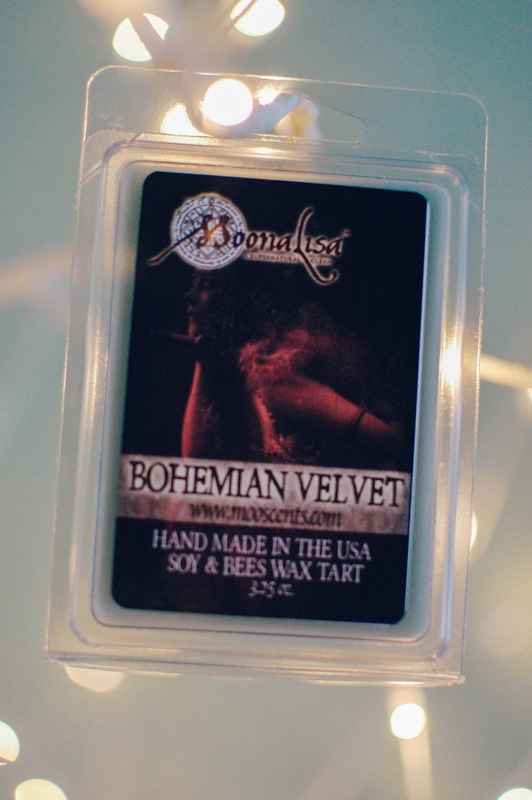 Bohemian Velvet- Sandalwood, patchouli, Dragon's blood and Nag Champa. 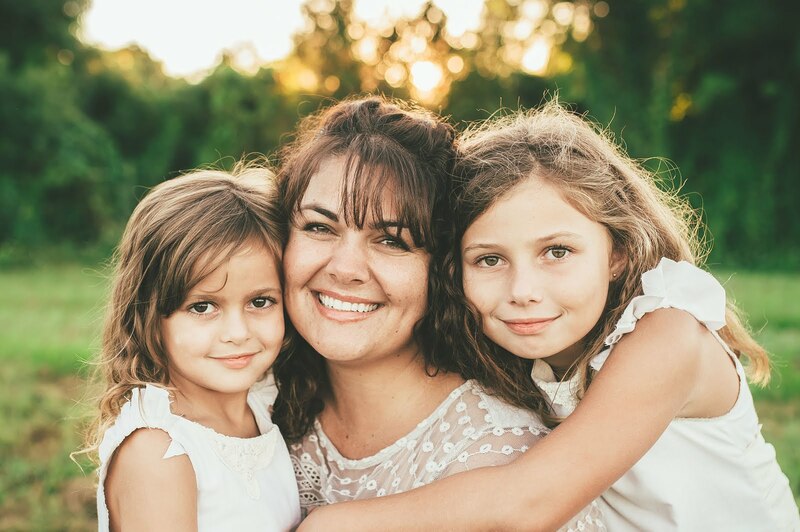 Blogged this one recently and I still am in love with it. Two cubes throw wonderfully and smell incredible. If you love Nag Champa you need to try this one. I picked up two. 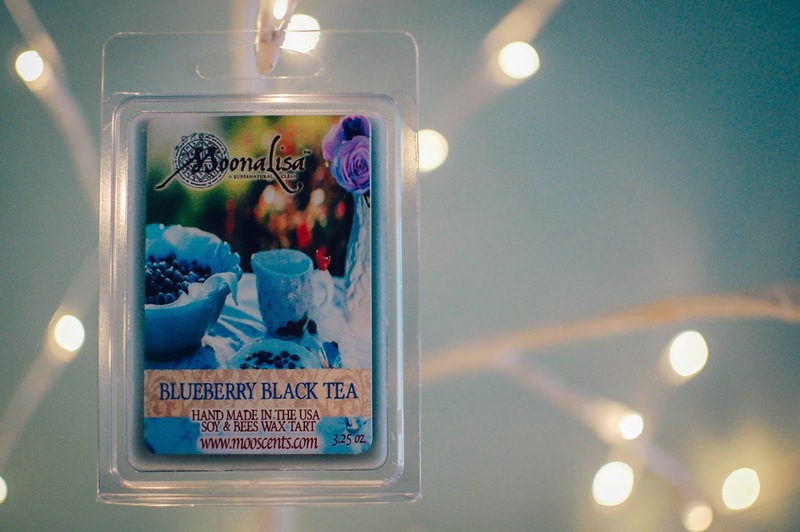 Blueberry Black Tea- Blueberry Hill (blueberries, pancakes and butter) with black tea. This tart smells exactly like just an iced cold tea sweetened with blueberry syrup. There is a teeny hint of bakery denseness lurking about but it comes off more as wooden. I am enjoying this unique blend. I melted two cubes of this one and it threw strong in the kitchen and living area. 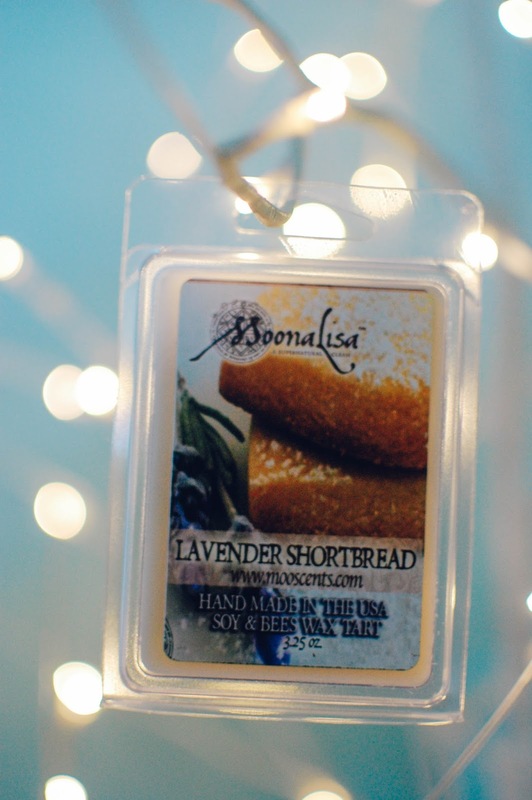 The shortbread is dense and buttery with the lavender threaded lightly all through. This is not a sweet cookie blend at all and almost comes off as bready. A true shortbread with a scattering of herbal lavender buds. Probably not one I would buy again but wonderful for bread scent lovers. 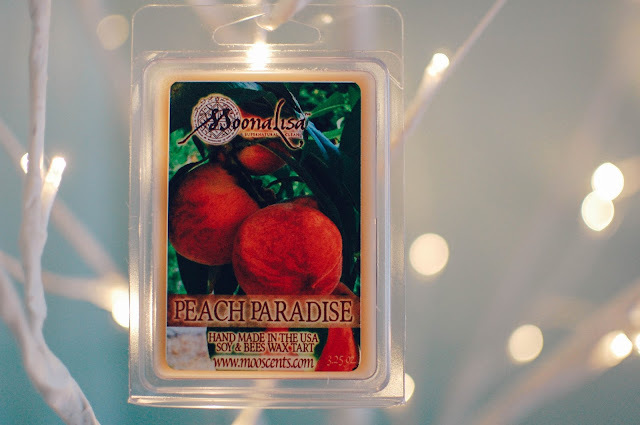 Peach Paradise- Notes: Peaches in syrup with creamy coconut milk. A tropical scent, where the coconuts are fibrous with wooden shells and all. The lucid peaches feel soft and fuzzy rather than pulpy with flesh. A thin trickle of watery coconut milk can be detected too. This is a version of paradise I can get on board with. Looking forward to melting this one. Loving my third order from MooScents. I will keep a weather eye on the restocks and look forward to seeing scents pop up as they are created. Hoping for some Salome's Secret or Where's My Pie? one day. 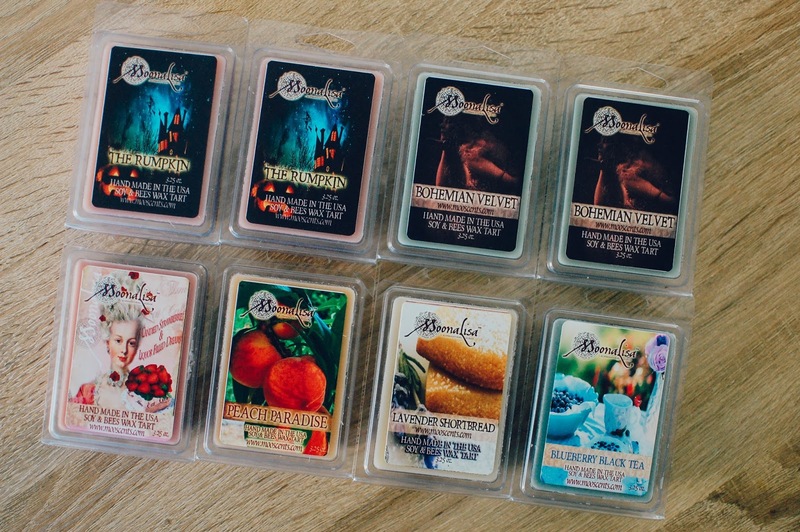 Did you try MooScents yet? Ahh, glad to hear Rumpkin is a winner. I bought up the last of the Winter Hearth before the new scents were posted and am swapping one clamshell for it. Someone requested Dr. Bombay on the FB page, a blend of Blood Orange, Patchouli and Ginger essential oils, which I gotten from her main line in the past and loved. I'm looking forward to trying it in wax. Nice! I hope they bring Winter Hearth back in the winter. Dr. Bombay sounds incredible too, but Salome's Secret.... mmmmmm. There are a bunch I think would do great in wax. Let me know how Rumpkin is for you. I am loving it. I just knew the Rumpkin sounded wonderful. You and Sandra both have me needing to have this in my life now. I need to slow it down on the ordering right now though, I have been on a little bit of an ordering spree as of late. I was considering her Bongo Poppy Seed Cake and the Rumpkin the last time I looked at the site, the chocolate cola caught my eye but I wasn't for sure how they would mix.. interesting blend for sure though! Yes! Rumpkin is the bee's knees. Spicy lavender? Mmmm Hmmm. Chocolate cola? I missed that one but maybe for the best. But I must admit that Shannon at TBG has really turned me onto unique cola blends like her Fortune Teller and Starlight Soda Pop. 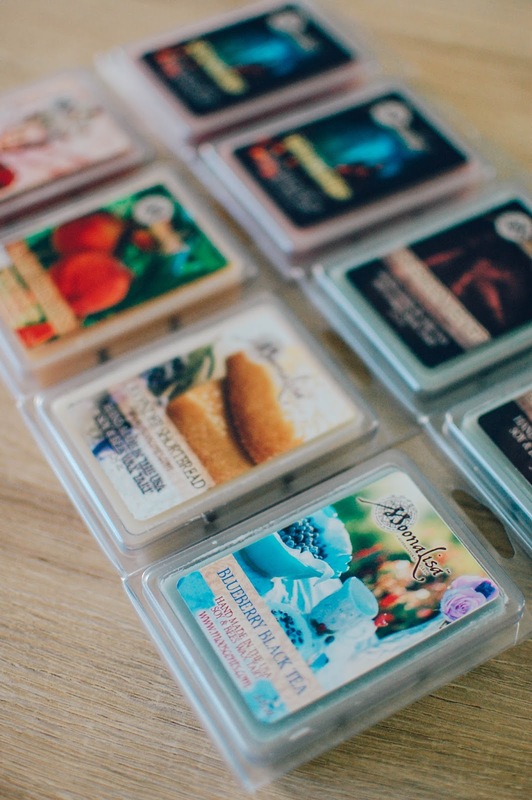 I bet when you are ready to order again they will have some excellent scents. I am looking forward to their fall offerings. LOL! I can't help loving themmmmm. At least shipping is good so you can get away with buying only one or two and not feel like you are wasting money.